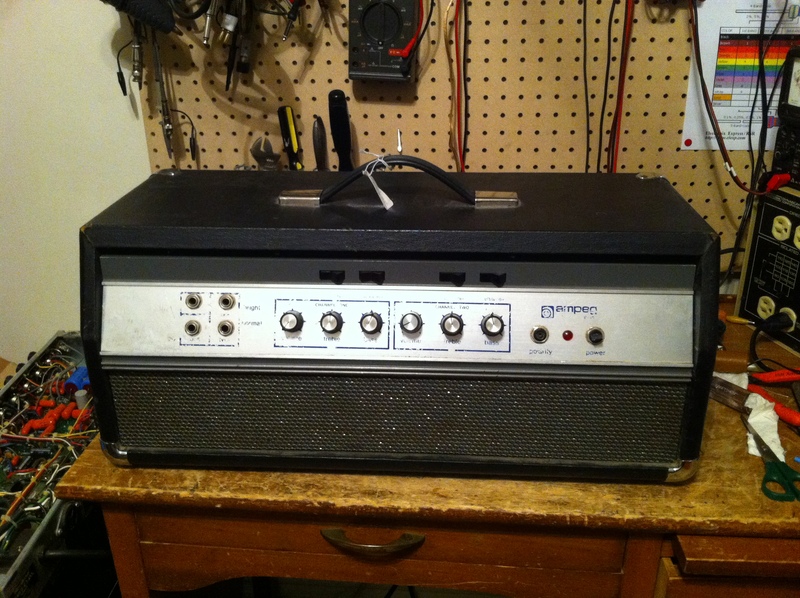 Cool old Ampeg B-25. It is the “blue line” version meaning the screen printed front panel is blue, rather than black. The older ones are blue so I would guess this is a late 60s amp. I could be slightly wrong but I believe the switch to black was in 1971. Anyway, this amp was blasted by a short circuit, heater to screen supply. I’m not sure why this happened. The two traces run right next to each other on the PCB but are certainly isolated. Pretty straight forward little amp. Has two channels with volume, treble and bass, and some rocker switches to adjust the frequency response in the typical Ampeg fashion. 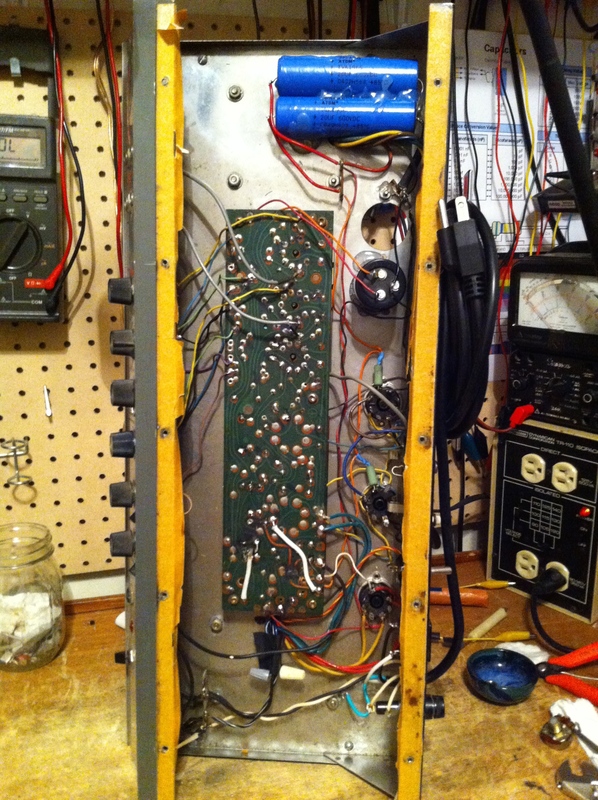 This amp puts out about 50W from two 7027 output tubes, which in todays era are typically replaced with 6L6s since 7027s are not really in production anymore.